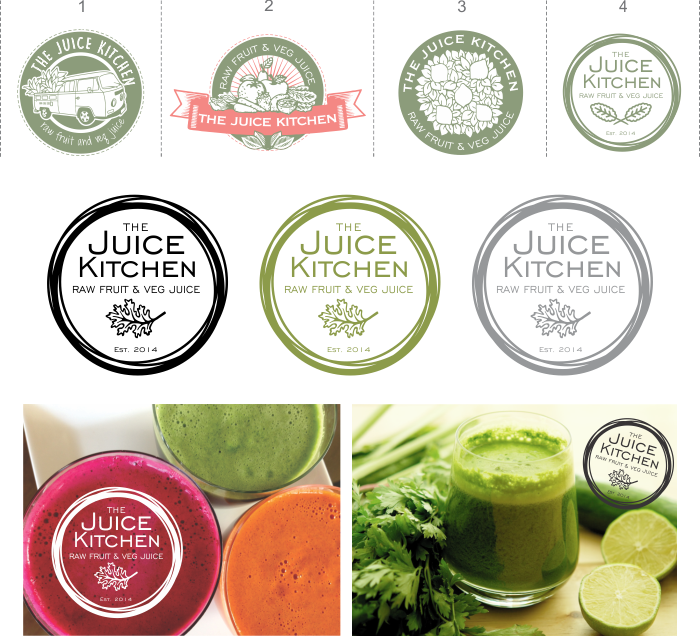 The Juice Kitchen is a small business in Hillcrest. They specialise in the most awesome raw and superhealthy fruit and veg juices. They wanted to update their logo, make it cleaner and fresher and supplied in a way they could use it across multiple media formats, big and small. Below is the logo update process. 1 to 4 are the proof renditions. The logo in the middle row is the final design. Initially the client was keen on incorporating the VW Combi they use for deliveries but instead decided to keep the kale leaf icon of their previous logo and incorporate it into the new one to maintain simplicity. Go and check out their website and Facebook page (yes, like it - you'll see their brand new signage) and try some of their juices!